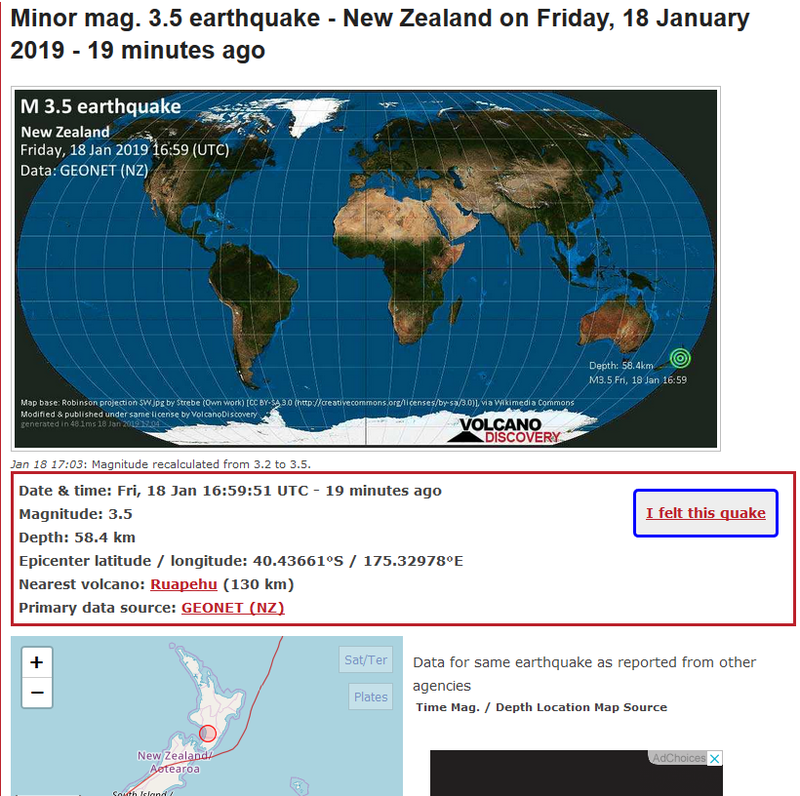 A minor 3.5R was reported in NZ today. However in the map above we see our prediction published here a few days back. 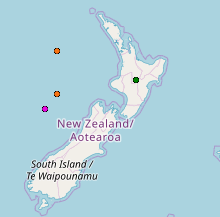 It is 2 days late, but the coordinated as you can see on the North island.